I'm finally starting this month's program song! Several of you have probably already been using my lesson plan I posted several years ago HERE. 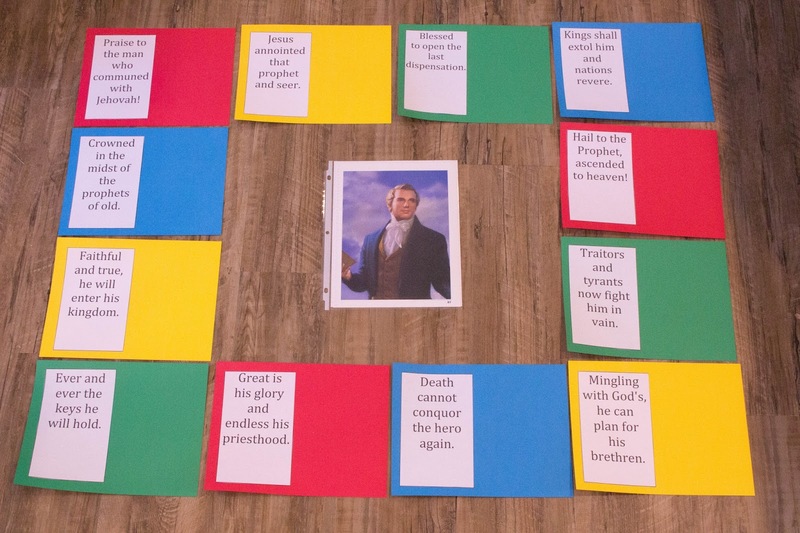 I will be using several parts of this lesson plan, while implementing a few new ideas (thanks to some AMAZING FB posts from Lois HERE and Brittany HERE!). I will be introducing the song using the "Who Am I?" activity that Lois posted. I typed up each phrase on half sheets of paper. On the other half of each sheet of paper, I used Brittany's definitions. 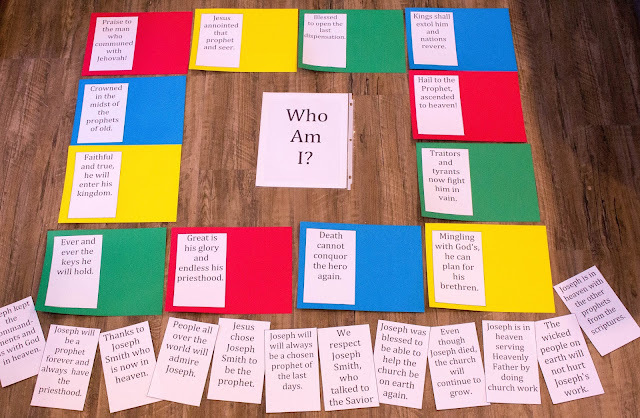 Each phrase is mounted (I used a glue stick) on a random sheet of red, green, blue or yellow card stock, with space for the definition to be posted next to it during the activity in primary. "Praise to the Man" (originally titled "Joseph Smith") was a poem written as a tribute to Joseph Smith, Jr. by Latter Day Saint leader and hymn writer William W. Phelps. 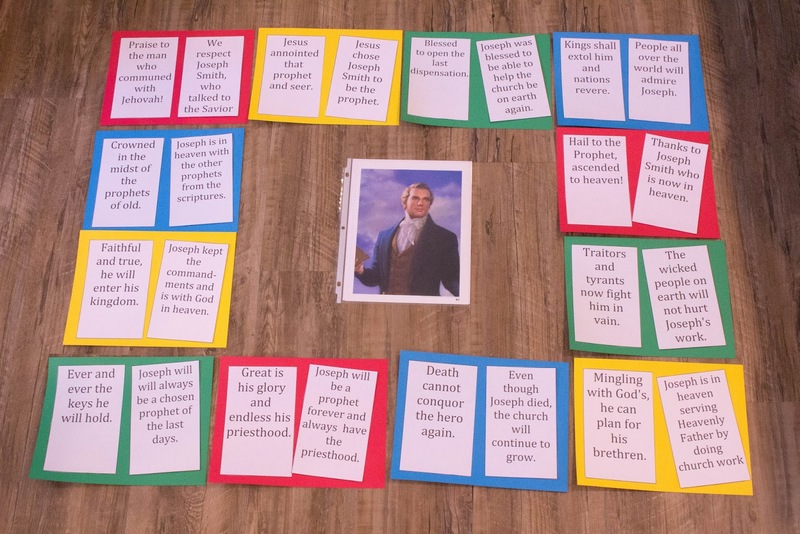 The poem was composed soon after Smith's death, and was later set to music and adopted as a hymn of The Church of Jesus Christ of Latter-day Saints (LDS Church). It was first published anonymously in the church newspaper Times and Seasons in August 1844, approximately one month after Smith was killed. The hymn is still used within the LDS Church and is hymn #27 in the current LDS Church hymnal. The LDS hymnal now uses a melody based on "Scotland the Brave" in honor of Phelps's Scottish heritage. The tune is modified to match the syllable count of the text." Don't worry about the little kids not being able to read - you can read everything to them and the with enough repetition (hence the rhythm instruments), they will learn it! Find my To-Go Lesson Plan HERE so you can take all this to church with you!. 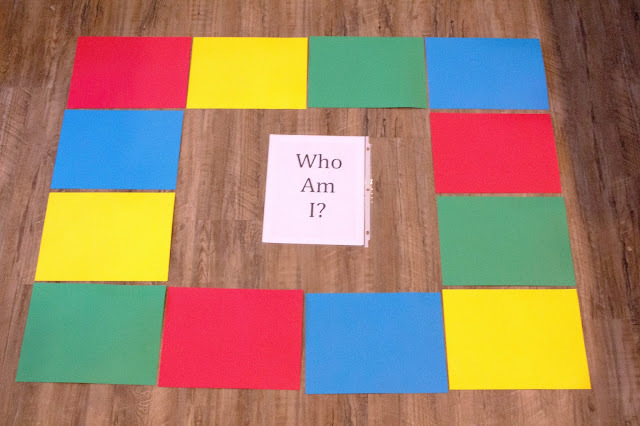 Find my 4-corners review activity HERE for reviewing this song. Thank you! I'm using this today. One correction: "Mingling with Gods" shouldn't have an apostrophe. Thanks again! Oh man. Our primary is senior and junior combined and this was kind of difficult and chaotic! Tricky song but you're right, repetition is key. Might have to take a different approach. Hi marymary, thanks for catching that! there is another error - did you catch that too? I had 2 "will"s on one of the definitions - my primary kiddos pointed that out to me. You are not alone - my Jr. primary struggled this week too. I totally skipped all the definitions and we just hashed out the song with the rhythm instruments. They were totally crazy and so was I by the end! I think next week, I may try some actions from Sharla Dance's website for Jr. For Sr. I'm going to continue on with what I've got planned. Know you are not alone - this is a HARD song!